This is a great gift idea for the kids. Are you still looking what to get the little one for Christmas? This giant playhouse is a fun and safe place for your kids to play and learn. 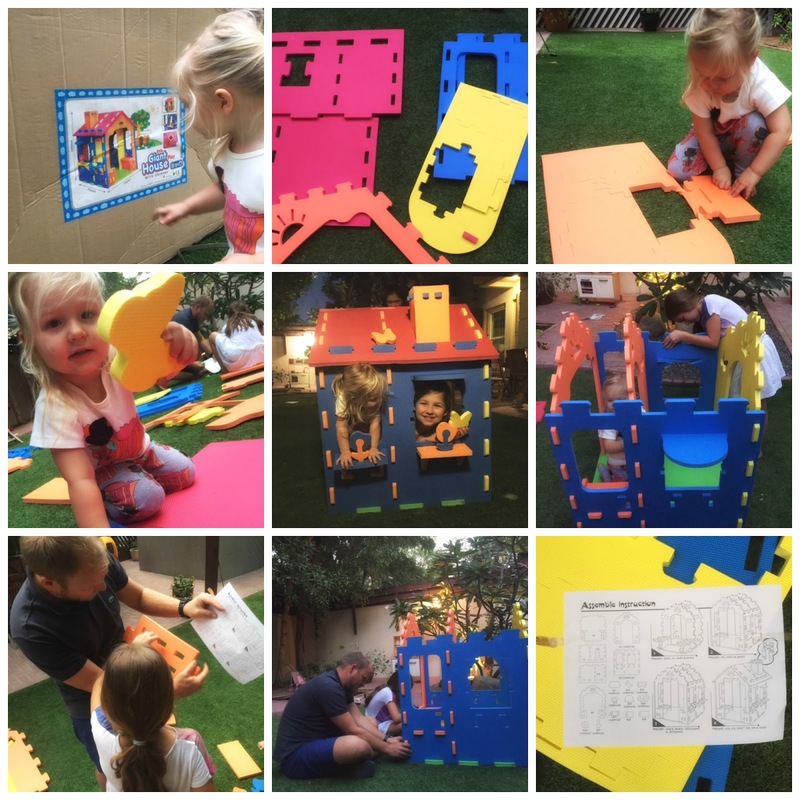 Luella and papa had a great time putting the house together. It was not too painful despite the many pieces, apparently the foam bits easily joined together for a simple construction! It all worked well, following the instructions. Josefin made a mess while tagging along to the engineering fun. About 45 minutes later, the play house was up. Ready for Josefin to move in with her toys and snacks... happy little one! This awesome playhouse has already provided hours of fun playtime. It's sturdy yet light and can be moved along (or put away). The EVA foam cubby house with chimney measures 79cm square, 1.25m tall, perfect for toddlers and pre-schooler.